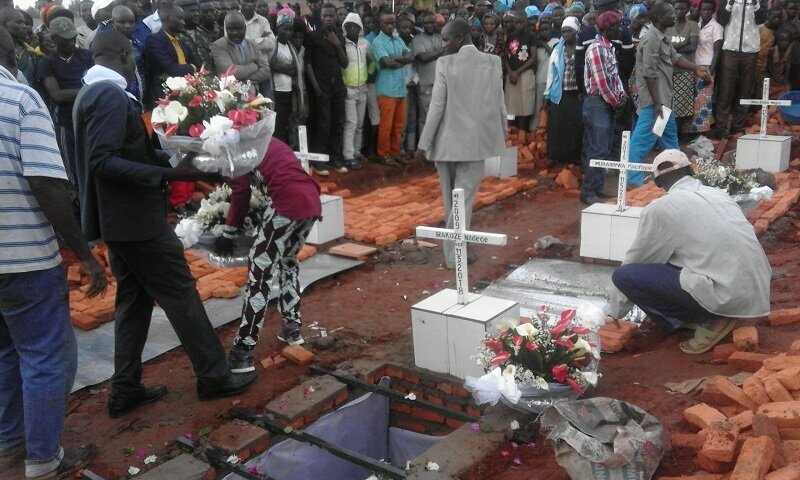 CIBITOKE May 18th (ABP) – 24 bodies of persons, killed by a group of armed men from the DRC in the night of May 11, 2018, were buried on Tuesday May 15, 2018 at the Ruhagarika cemetery, a check on the site by ABP has revealed. The burial saw the participation of high country’s personalities, including members of the government, Members of Parliament and Senators, diplomatic representatives of the Pope, diplomats, representatives of UN organizations and different executives as well as friends of the province. The Minister of Interior, Mr. Pascal Barandagiye, as a representative of the government, criticized such a savagery committed by a gang of people he qualified as terrorists. He made an appeal to the international community to help Burundi demolish that group of criminals that grieved a dozen of innocent families. The security is a reality throughout the country, said Minister Barandagiye, pointing out that thanks to good relations with the DRC, some of those criminals would have been caught. On that occasion, he calmed down the inhabitants of Cibitoke and all Burundians, stating that the security prevails on the Burundian soil as a whole. He called Burundians for unity, mutual solidarity and safeguarding peace and security with the respect of the quadrilogy and the good collaboration among joint security committees. 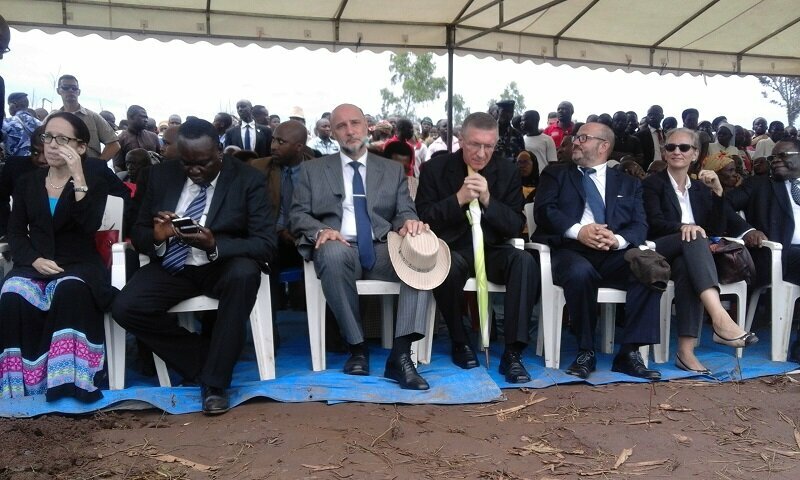 The Russian Ambassador in Burundi, who spoke on behalf of the other diplomats, convicted those massacres to innocent persons, stressing that such a black phase must be overtaken. “No one has the right to take away the other’s life,” he said, while offering his condolences to the families of the victims and the government of Burundi. As for the representative of the families of the victims, Mr. Léonard Ndarishikanye, he thanked the government and all those who supported them in one way or another until the burial of theirs. He pleaded for the reinforcement of the police forces in order to cope with the attacks of the kind. He also wanted the government and other benefactors to remain close to the families of the disappeared, some of whom were householders. 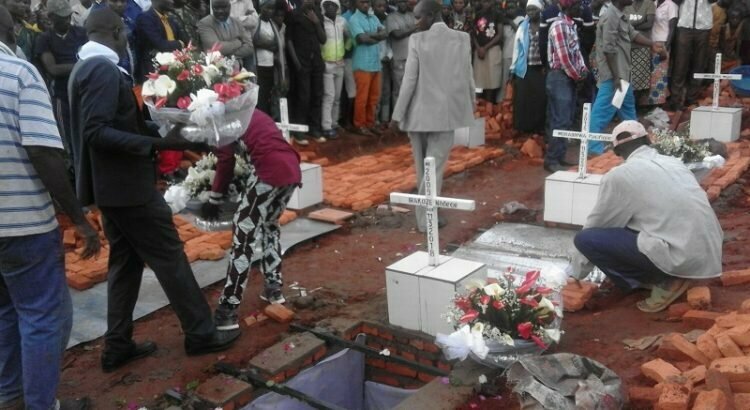 Note that the burial on Tuesday May 15, 2018 took several hours due to technical issues and the fact that the bodies were scattered in morgues of a lot of care facilities, namely Bujumbura, Bubanza and Cibitoke.